A different take on the caped crusader known to most as Bruce Wayne; this Batman T-Shirt Set includes all you need for Halloween or Heroes and Villains themes! Arguably the most popular superhero there has ever been; it can sometimes be difficult finding a Batman costume different to others on the market, but this licensed Batman T-shirt Set does just that! 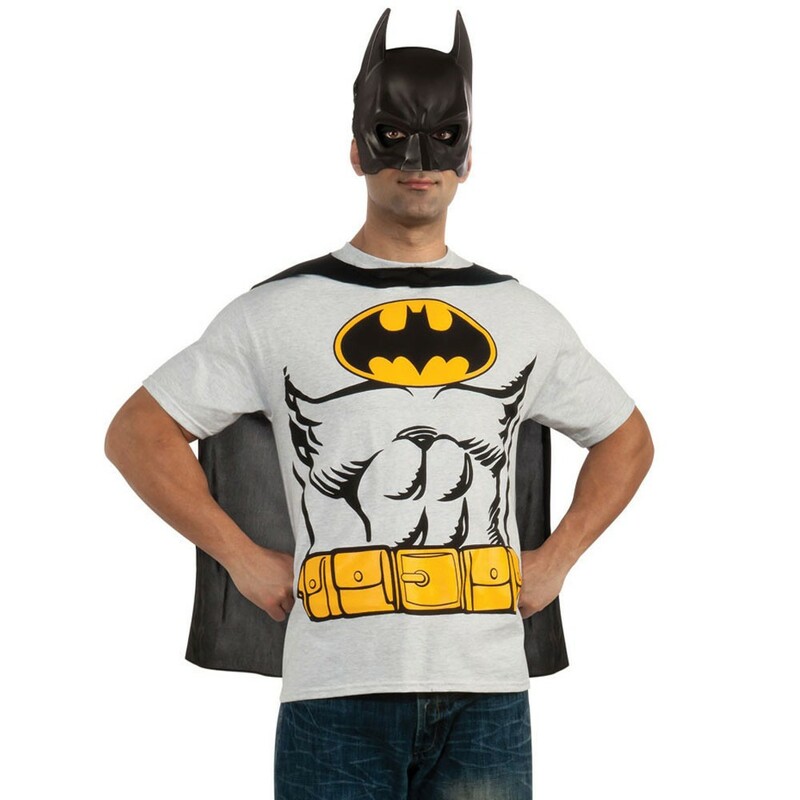 This outfit depicting the alter-ego of Bruce Wayne includes a T-Shirt, Cape and Mask. The grey top has muscle detailed features with the iconic printed yellow ‘Bat’ symbol and belt on the front. No Superhero is complete without a cape, and this Batman T-Shirt Set includes a black cape, which fastens around the neck with Velcro. This classic look with a modern twist is completed with the classic bat Eyemask. Fight evil and stand out from the rest with this fantastic licensed Batman T-Shirt Set.